If you live in a city, you’ve likely seen the hundreds of private, purpose-built student accommodation (PBSA) propping up all over the place. In fact, this form of student accommodation is in such high demand that the number of bed spaces due to be built for the 2019/20 academic year is 25% higher than this year – totalling 29,000 beds. But why is there such a huge demand? And what does this mean for the British construction industry? To help uncover the answers, Protection Supplies have investigated the impact of the sudden PBSA boom. Did you know that the construction output in higher education dominates all other construction markets? So much so, that in just three months (from July – October 2018), the number of investment transactions in the PBSA sector, more than doubled from £1.4bn to £3bn. With this in mind, it’s no surprise that PBSA accommodation now provides 77% of the supply in the sector, with the remaining 23% being non-private beds owned by the University. Newcastle – One in every 15 homes is now a student property. Exeter – One in every 15 homes is now a student property. Liverpool – One in every 22 homes is now a student property. Reading – One in every 46 homes is now a student property. Birmingham – One in every 51 homes is now a student property. Sunderland – One in every 96 homes is now a student property. Despite this high numbers – the demand for PBSA is still there as over 560,000 people applied to start a course in 2019 – nearly 2,500 more than 2018. For years, there has also been a growing trend in students moving outside of their home region – which again, serves as an opportunity for PBSA developers. In 1999/2000, only 670,000 students studied outside of their home region. In comparison, in the 2018/19 year, this figure stood at almost double (47%) at 1.1 million. Another opportunity for PBSA developers is to focus on non-UK applicants, who make up almost a quarter (23%) of university applications. For example, since 1999/00, the number of EU students in UK universities has increased by 63% and for international students – this has increased by 215%. PBSA developers may be put off by the uncertainty of Brexit as it looms over the economy. But, studying in the UK is remarkably cheaper than the US – by a whole 63% – so it’s believed that non-EU students will continue to apply. In fact, the dawn of Brexit may even see UK students rise. This is due to a phenomenon called counter-cyclical – where there is an economic downturn, the public may look to increase their skills and look to Higher Education. London has a 67% retention rate. Edinburgh has a 47% retention rate. Manchester has a 46% retention rate. Birmingham has a 41% retention rate. Cardiff has a 41% retention rate. Leeds has a 38% retention rate. Bristol has a 37% retention rate. Newcastle has a 37% retention rate. Plymouth has a 26% retention rate. With this retention rates in mind, the breed of co-living schemes could see those rates boost even higher, as PBSA for young professionals, would make it easier for students to remain in the city. 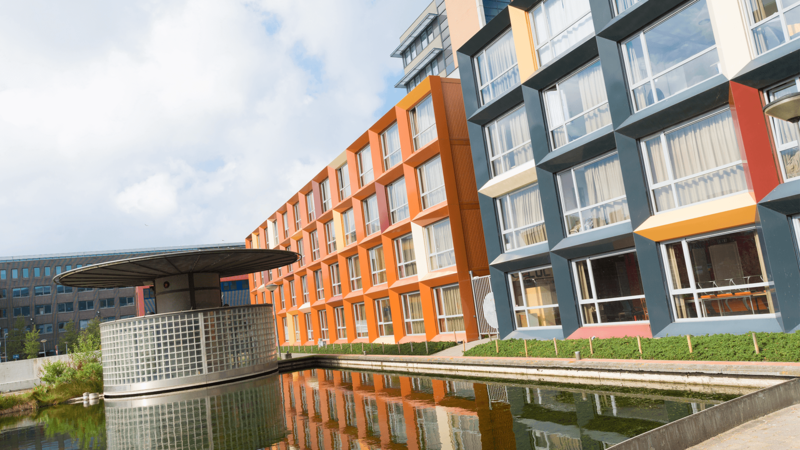 Developers and town planners need to ensure there is enough accommodation for graduates, whether this is PBSA co-living schemes or purpose-built rented accommodation.